Spectacular custom home in the heart of Minden. 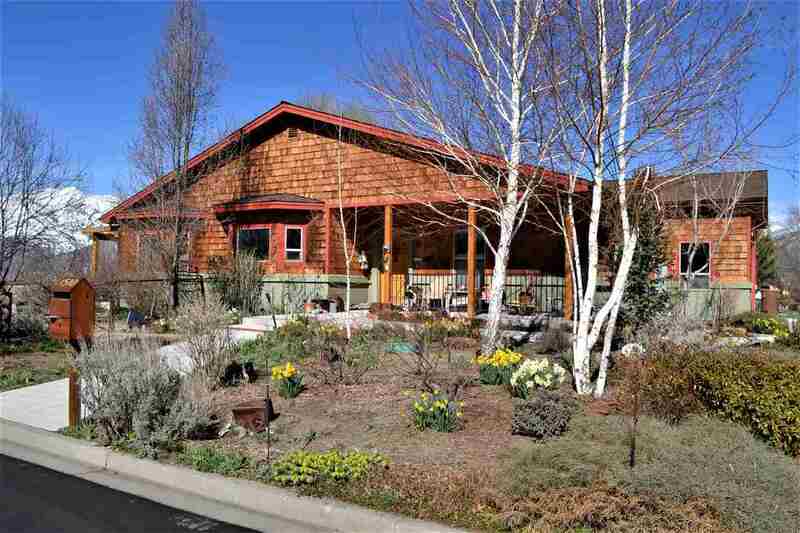 Home backs to the Mack Ranch and has unobstructed views of the Sierra and a pastoral setting. Three large bedrooms, 2 full baths. Seller is an Artist and one of the bedrooms doubles as a studio and features cherry cabinets and a sink. The great room is just that! Vaulted ceilings, gas stove and a ceiling fan. The kitchen has cherry cabinets, granite counters and a pantry. The refrigerator is included. © 2019 Northern Nevada Regional MLS,Inc. All rights reserved. The data relating to real estate for sale on this web site comes in part from the Broker Reciprocitysm Program of the Northern Nevada Regional MLS, Inc. Real estate listings held by brokerage firms other than Development Dynamics are marked with the Broker Reciprocitysm logo or the Broker Reciprocitysm thumbnail logo and detailed information about them includes the name of the listing brokers. The broker providing these data believes them to be correct, but advises interested parties to confirm them before relying on them in a purchase decision. Information last updated on 2019-04-24 13:13:46.